Tonight for our Winemaker's Happy Hour we're offering two happy hour specials: 20% off bottle special, and a discounted glass pour, the selections made by our winemaker, Ben! This is an evening for you to enjoy a customized tasting flight, or glass of our award winning wines, or share a bottle with friends. Our winemaker, Ben Stuart, is a Portland, Oregon native and earned his degree from the Enology and Viticulture program at Walla Walla Community College. Ben handcrafts award winning Columbia Valley wines for us right here in uptown Vancouver! Come say hello to Ben and find out about his winemaking philosophy. 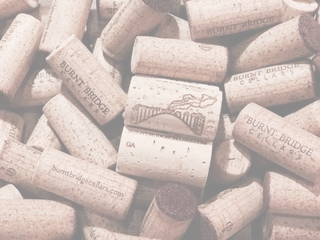 You can follow his blog, "Ask the Winemaker" here: www.burntbridgecellars.com/wine-blog.